When Sathia Kumar and his wife Chelvi bought their single-level Strathfield house in 1999, they had big plans to rebuild it. But to make sure Sathia’s 90-year-old mother Maheswary would be able to access the whole house, they had to rethink the design. 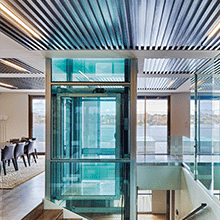 Central to the solution was a $70,000 glass lift at the centre of the recently completed home. “It helps my mother, but also means my mother-in-law can safely stay with us when she visits from England for a few months,” dental practice manager Mr Kumar said. He is a big believer that people should stay living in the family home for as long as possible as they age and he is hoping to one day do the same. “We have no intention of moving from it, so someday the lift might help us, too,” Mr Kumar said. 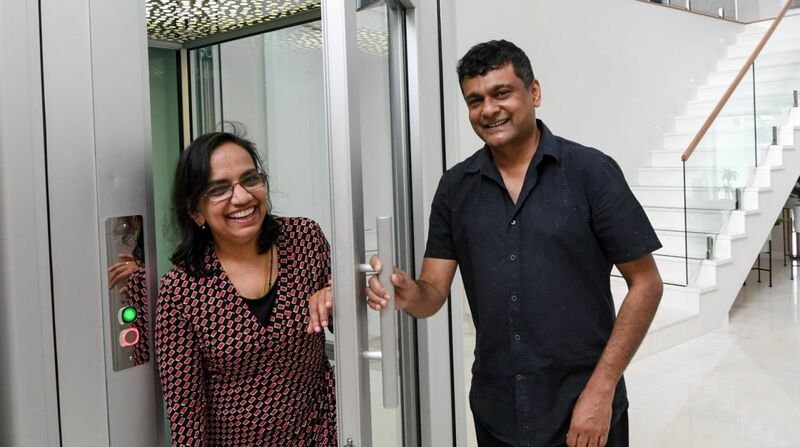 It is families like the Kumars who are driving a boom in the home lift industry to the point that what was once a luxury inclusion found only in ultra-prestige homes is now being offered as a standard inclusion on new and boutique home designs. Michael Heltborg, national business development manager at Easy Living Home Elevators, says when he started in the industry 14 years ago they were one of the few companies offering home lifts, and turning over about 50 to 60 lifts a year. “Now we’d be doing more than 600 lifts a year, and our market share would be about the same, but the demand is massive,” said Mr Heltborg. In Sydney’s Hills District, builder Doug Cummins says he started including the option of a lift in select designs a decade ago but now of the 20 to 30 homes he designs a year, half of them include a lift. “And those that don’t have a lift often include the necessary floor recess in the design so they can install a lift down the track when they can afford it or need it,” Mr Cummins, of Douglas Design Homes, said. It isn’t just new homes fuelling the demand for lifts. 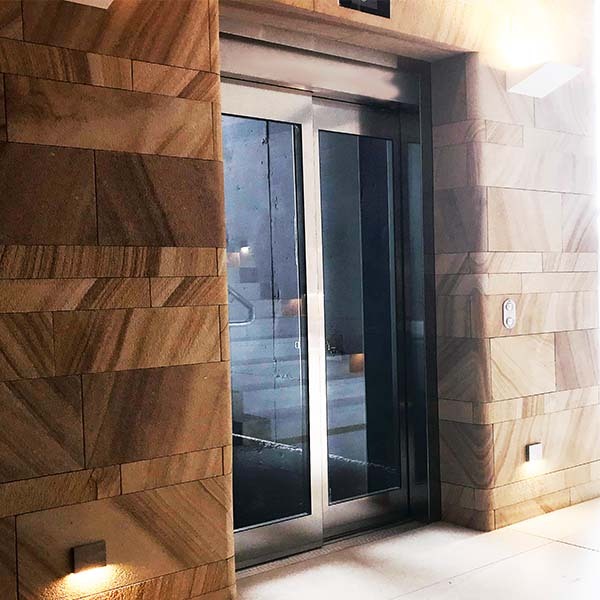 Both Mosman and Woollahra councils have noted a significant increase in the number of development applications that include retro-fitting established homes with a lift. Raine and Peter Fox are typical of many retired home owners given their decision to retrofit their Woollahra home with a lift for $39,000 rather than sell up and buy an apartment nearby. “We’re getting older and the stairs might be too much in a couple of years time so we put in the elevator while we’re still very much active,” said Raine. While the couple said they haven’t noticed an increase in electricity as a result of the lift, it gets serviced every six months for about $300. 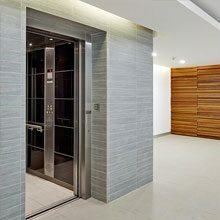 Buyers agent Stu Jones, of Rose & Jones, says the economics of retro-fitting a home with a lift makes sense given the associated costs of downsizing to an apartment. In the eastern suburbs luxury apartments start from $2 million, incurring a stamp duty of more than $95,000. Dennis Kalofonos, of boutique property services group Intergen Property Partners, says a shortage of high-end downsizer stock has also prompted his clients to look at future-proofing their homes to the point that his clients are waiting six months just to get a quote for a lift. “The standard scenario means you lose a room downstairs and one of the bedrooms upstairs, but it means they can stay in the family home another decade, and they can skip the downsizer apartment market for that decade or so between now and when they need high-grade aged care facilities in the future,” said Kalofonos.